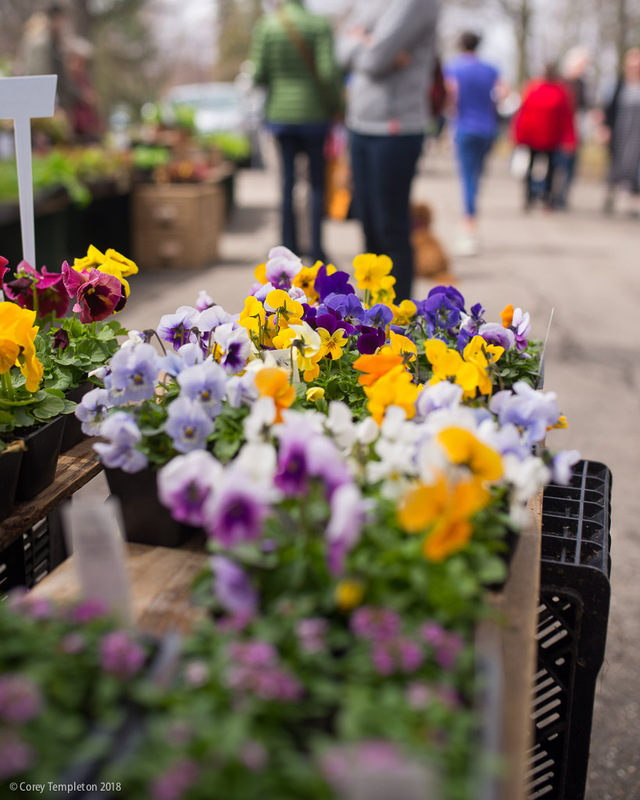 A nice stroll through the first outdoor season Portland Maine Farmers' Market in Deering Oaks Park today. 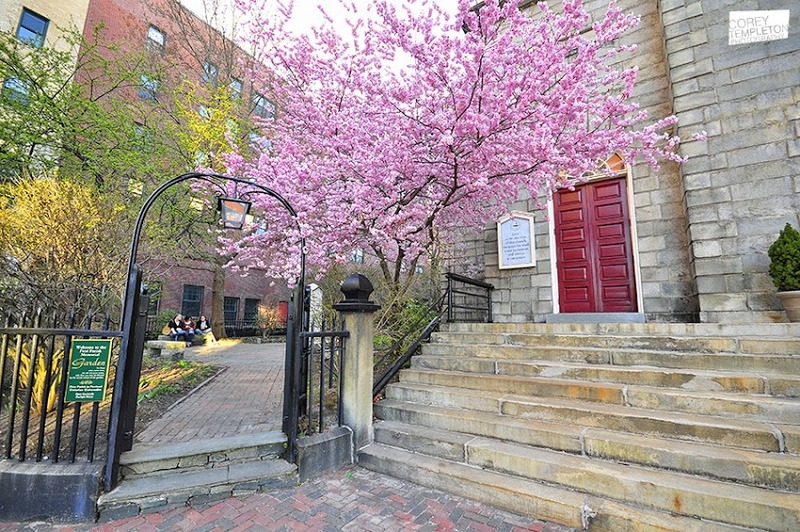 A springtime Thursday Throwback to April 13, 2012 and the and cherry blossoms in front of the First Parish Church. It's kind of a yearly tradition to capture the Winter/Spring street signs in the West End. 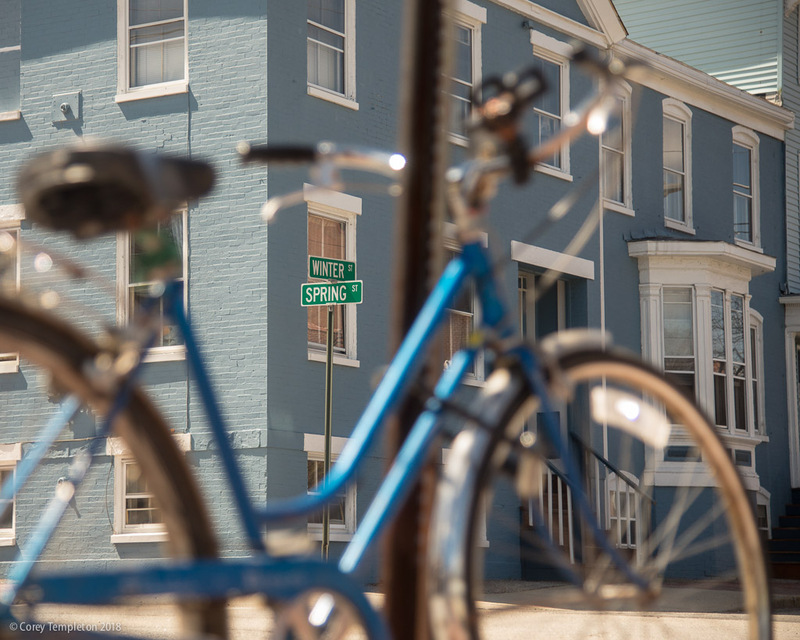 Here's this year's photo, nicely framed by a blue bicycle. 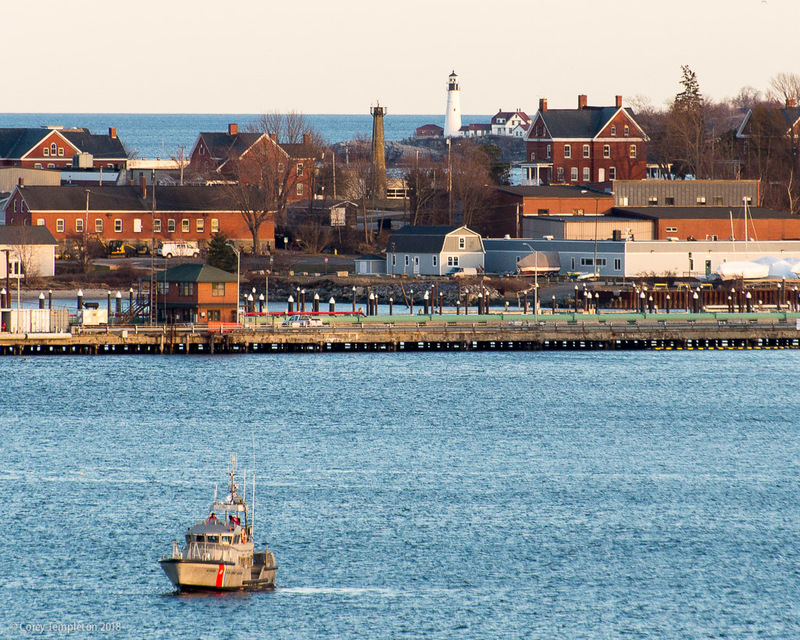 From the top of Fort Allen Park, a view towards the sea and Portland Head Light. 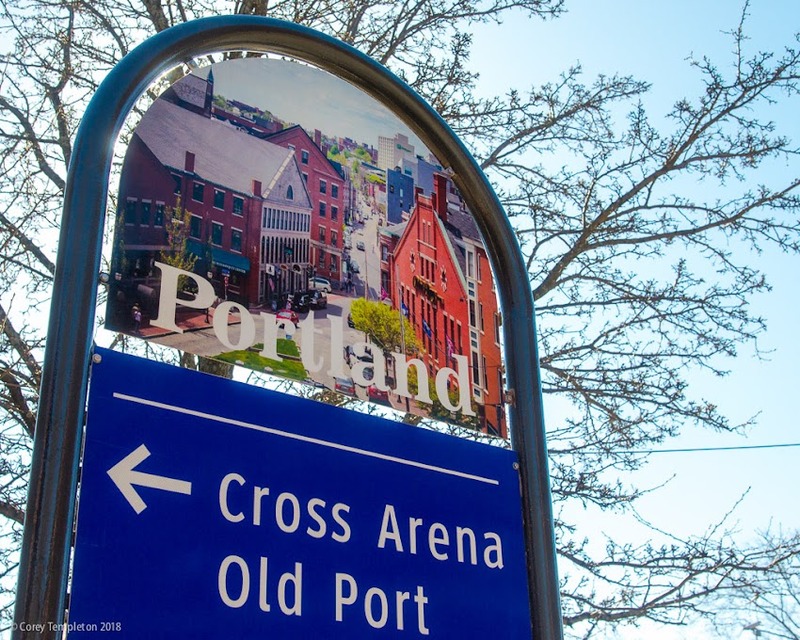 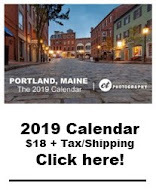 Eagle-eyed followers may recognize my photos around town on all the sharp new City of Portland, Maine wayfinding signs. 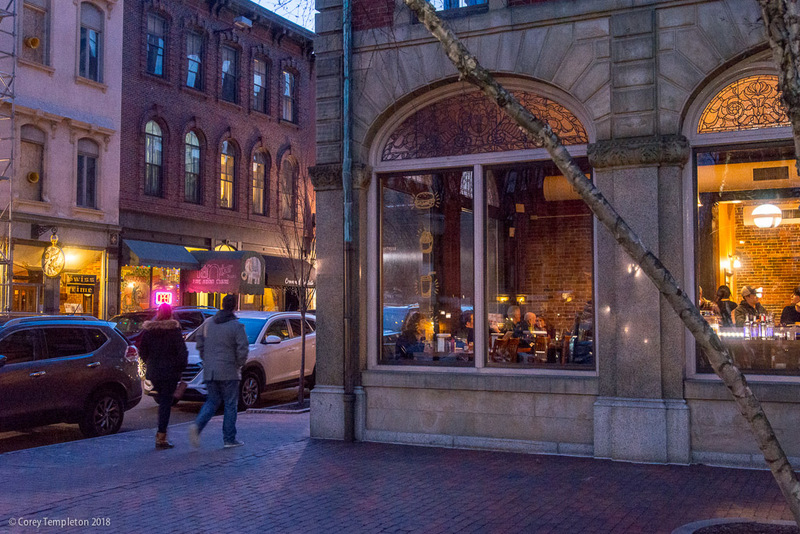 Here's one on State Street. 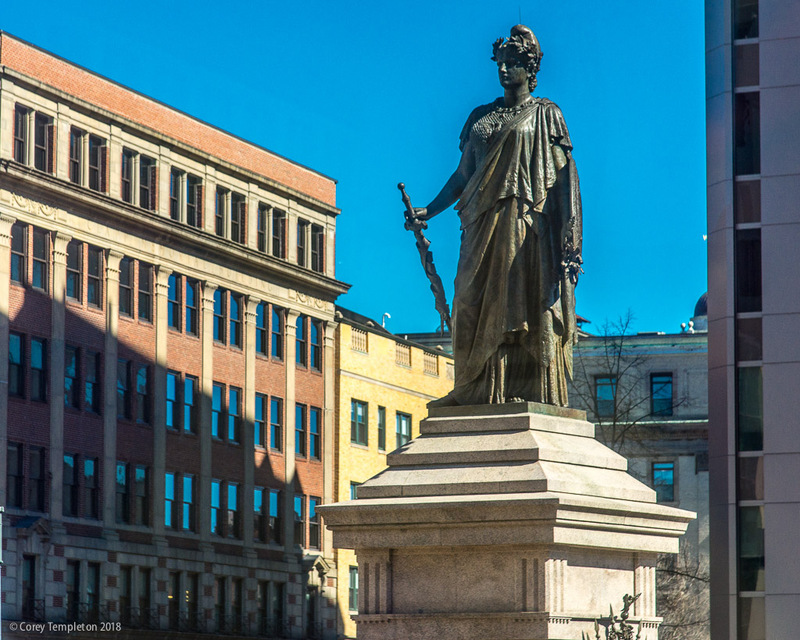 An elevated view of the Our Lady of Victories monument in the appropriately named Monument Square. 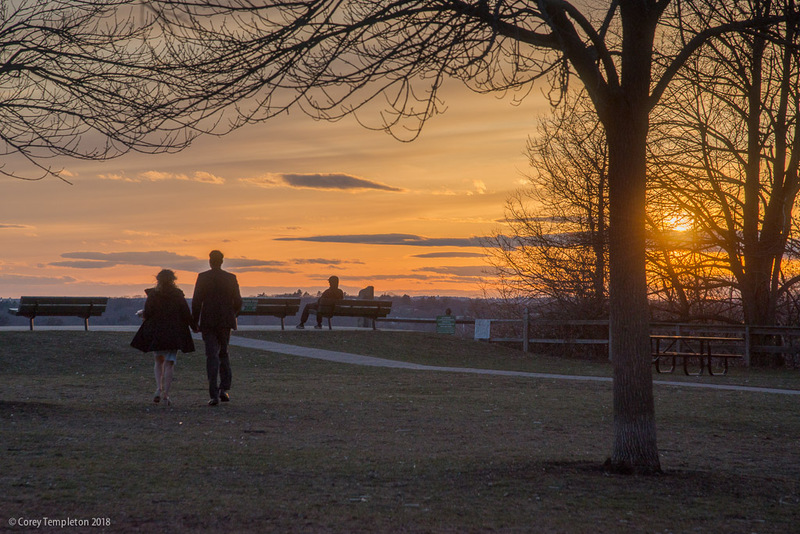 Folks checking out the sunset from Fort Sumner Park, on North Street, a few evenings ago. 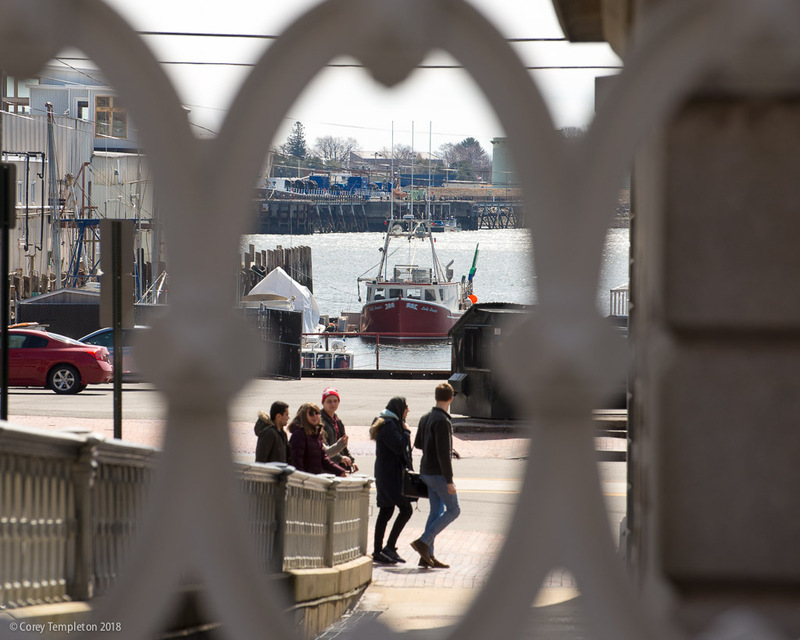 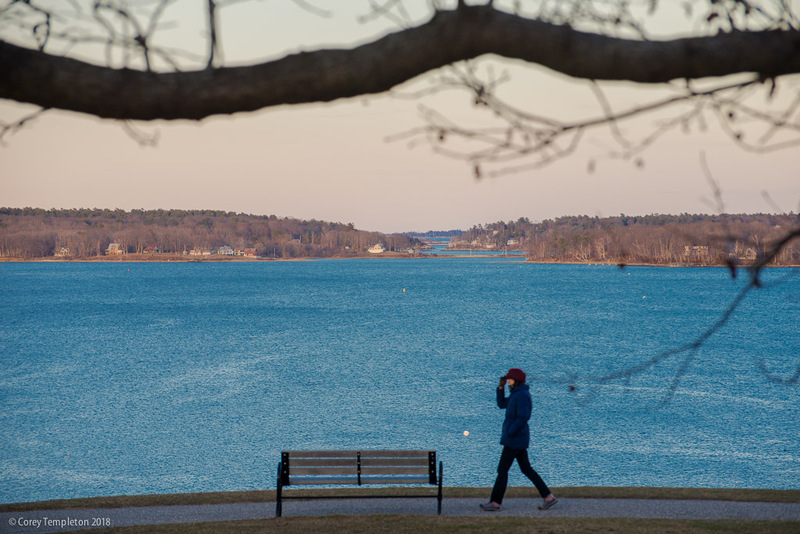 A scenic view towards Diamond Island Pass from atop the Eastern Promenade. 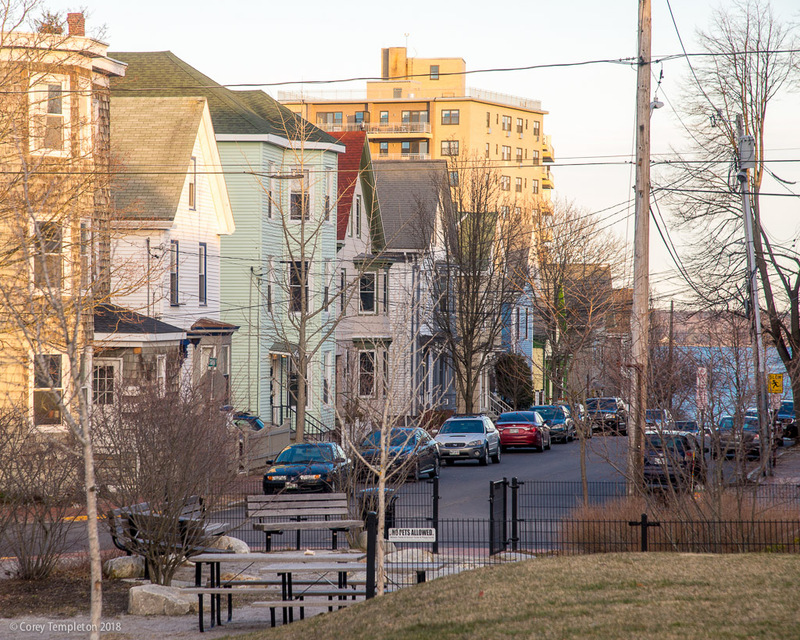 Looking down O'Brion Street from Marada Adams Park (formerly the site of Adams School). 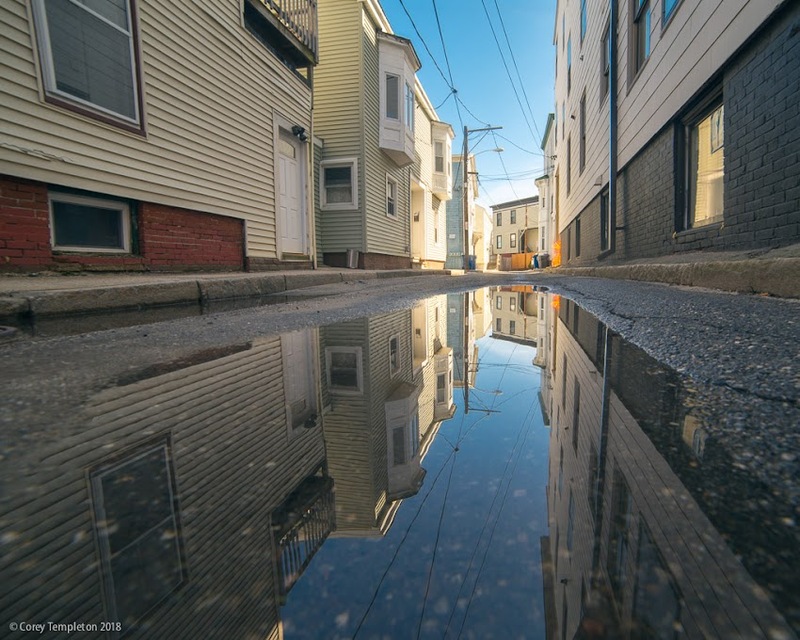 A leftover puddle on Horton Place, a little street in the West End. 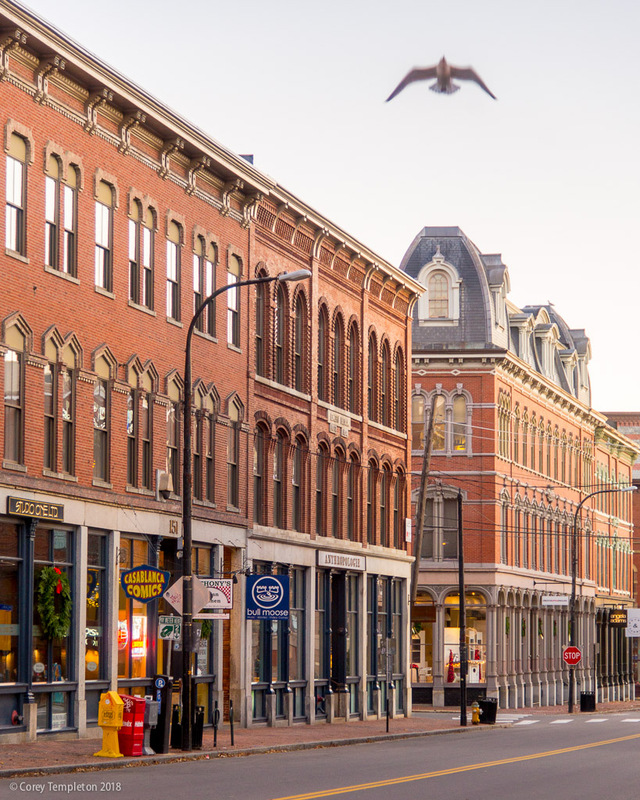 Middle Street view, with obligatory seagull photobomb. 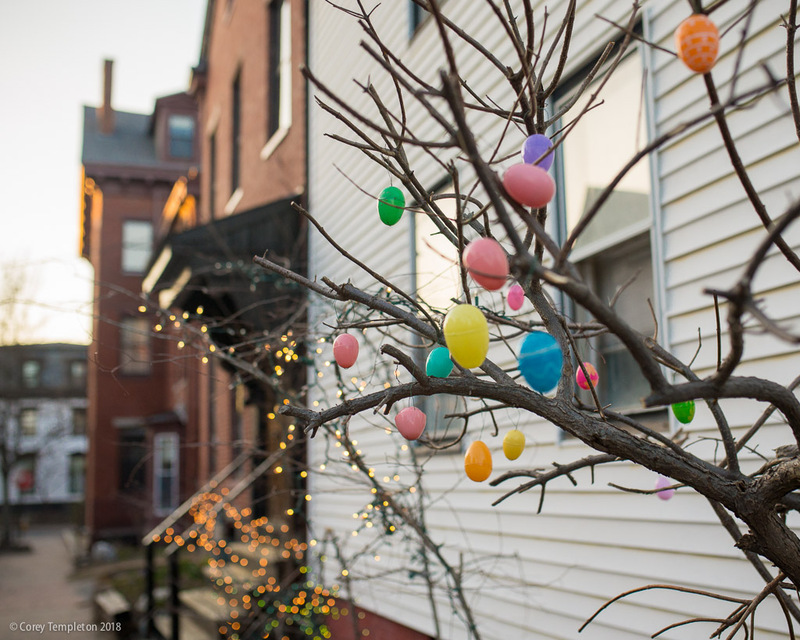 Spotted an elusive Easter egg tree on Winter Street. 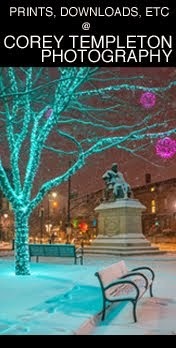 This species only shows its colors one day a year.